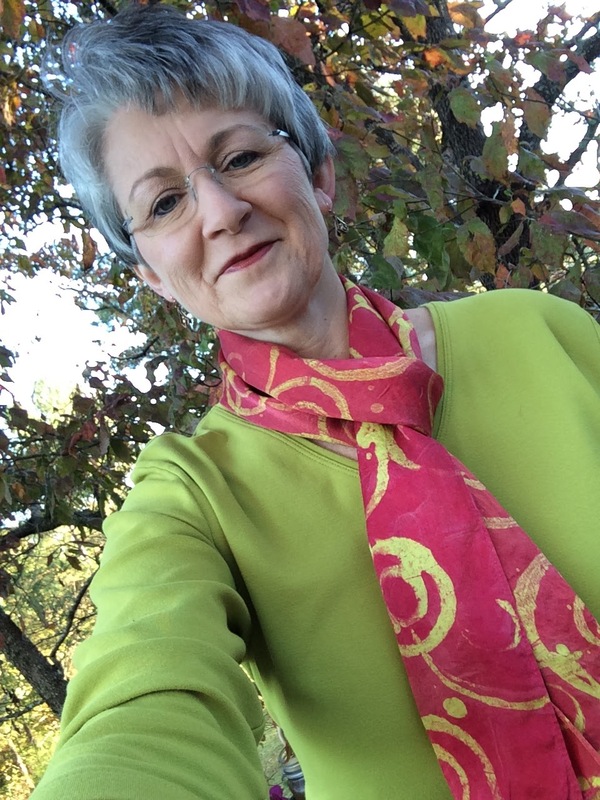 President Cheryl Brickey called the October 10th, 2015 meeting to order shortly after 1 pm and welcomed everyone. 16 members and 1 guest were in attendance with 2 new members joining today. 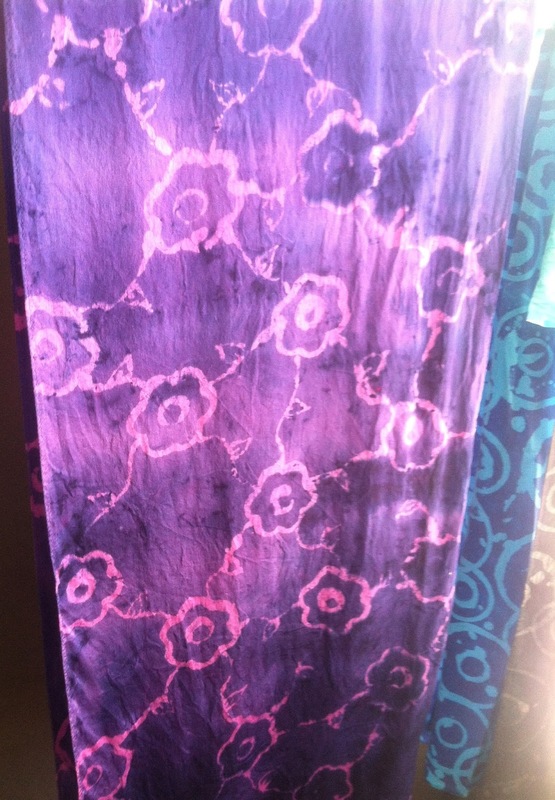 The Silk Batik Scarf Workshop was on October 17th with Faye Jones. November 14th @ Bernina 1-3 pm: Bernina longarm introduction, 2016 planning, and elections. December 12th @ Local Restaurant TBD - noon-1:30pm - Year end luncheon. September's instructions were for Courthouse Steps Blocks. Instructions are also available on the Meadow Mist Designs blog and there is an active Facebook group for the quilt-a-long. 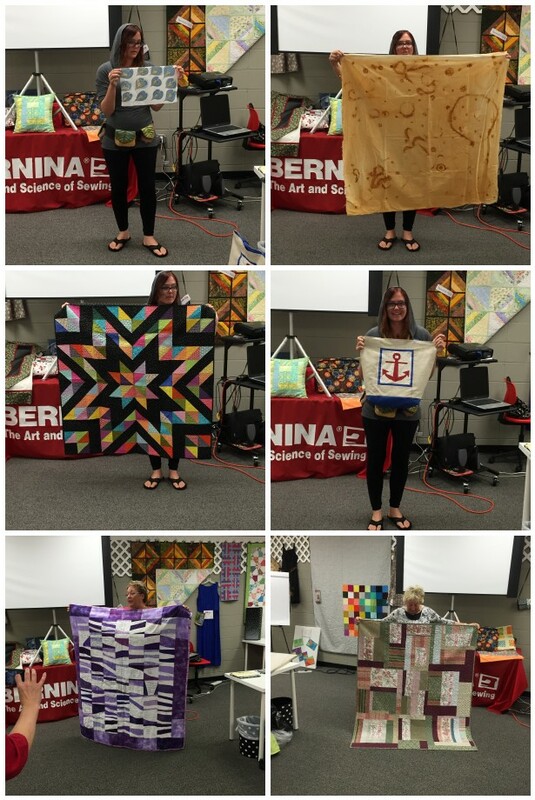 A lap-size quilt will be auctioned at a silent auction at a December 2nd fundraiser for the Meyer Center. 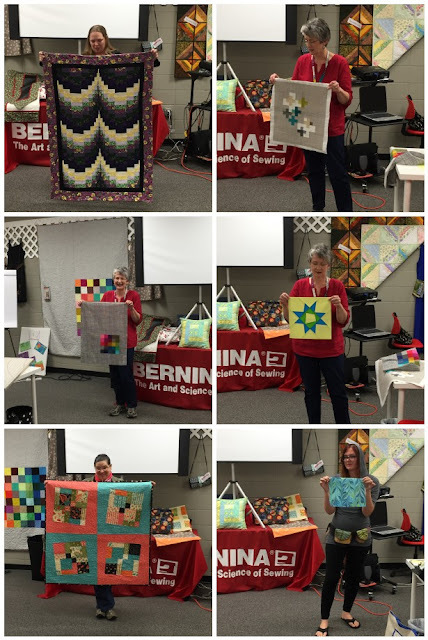 The blocks from the Block of the Month program will be given out to members who wish to sew them into charity quilts. No block of the month pattern was given out at the October meeting. We will discuss plans for 2016 blocks of the month at the November meeting. We had a wide variety of wonderful show and shares from hand dyed and rusted fabric to quilts. We started a new part to the program in October where members can bring in ideas or works in progress for the group's opinions. To get us started Paige brought a mini quilt she was trying to figure out how to finish (bind, face, etc) and Cheryl brought in baby quilt top she was trying to figure out how to quilt. 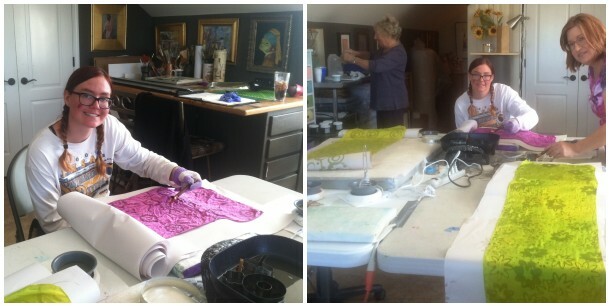 The group enjoyed the discussion, please consider bringing some of your works in progress to the next meeting. Many members of the guild brought in their favorite notions to share. In addition to many traditional quilting and sewing notions, many different ideas and notions from non-traditional sources were presented such as pottery tools, tools to make multiple tables level to form one large table, and hardware store finds.